Scenic Loop and Livingston Fire Departments respond. House Fire Destroys Home, LIVINGSTON, January 19, 2010 - At approximately 10:35 am on January 19, 2009, a house fire was reported to the Polk County Sheriffs Office. 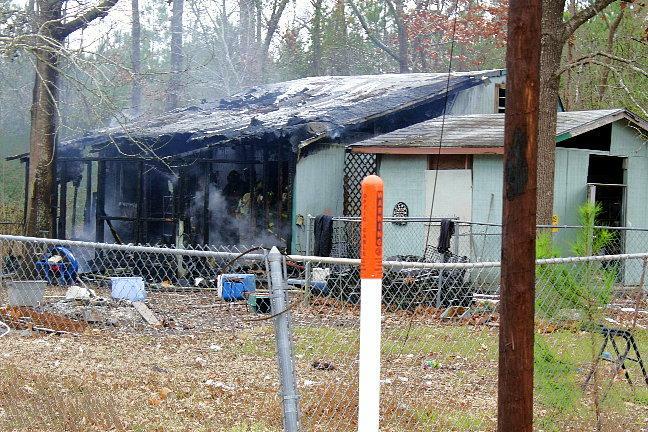 The home was located at the corner of Mangum and Harry. 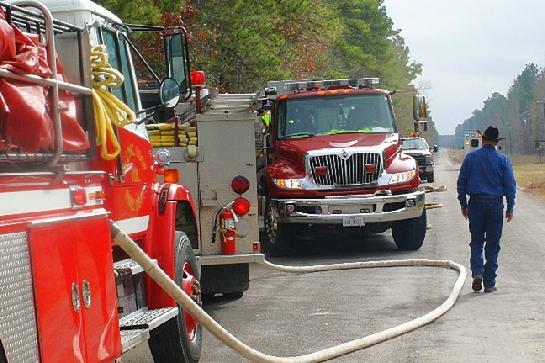 Both the Scenic Loop and the Livingston Volunteer Fire Departments were dispatched to the scene where they found the home heavily involved. 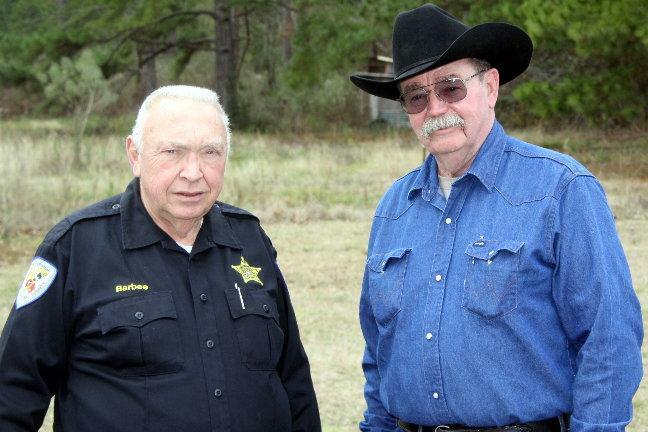 Also dispatched to the scene was Polk County Sheriff's Deputy, Brent Foster. 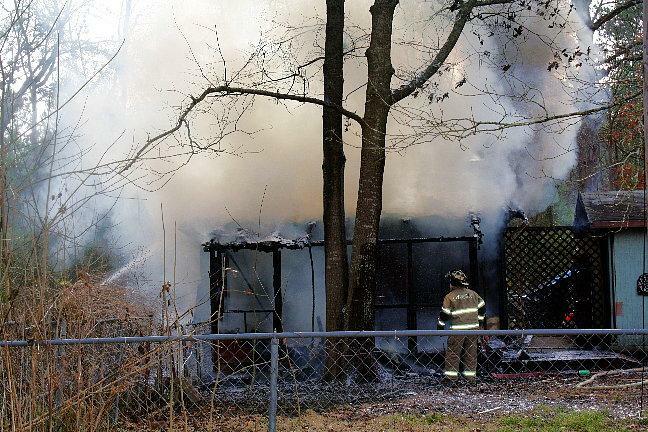 Firefighters battled the blaze as heavy smoke made it difficult to see the house itself. Goodrich Fire Chief Ken Hambrick and Onalaska Fire Chief Roy Newport also came to support the firefighters as they got the blaze under control. 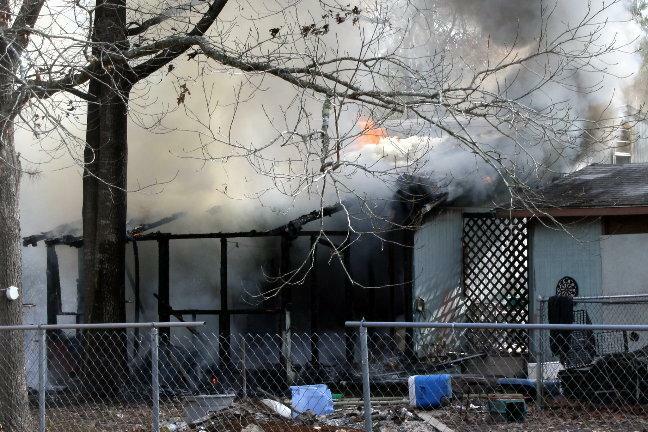 The owner of the home, Jerry Retherford, was not home during the fire, however, there was a dog and a cat that were both in the house at the time of the fire, both were killed. Retherford did have insurance. Polk County Fire Marshal Jay Barbee arrived to conduct an investigation and was assisted by Livingston Fire Marshal, Mark Taylor. The fire was completely extinguished by 11:30 am. Firemen arrived to find the house heavily involved. The house may have been totaled. 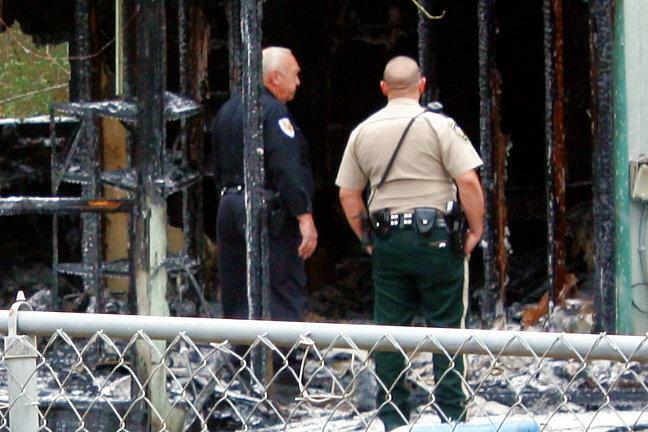 Polk County Fire Marshal Jay Barbee (left) and Deputy Brent Foster investigate.